Awesome FAT BURNING coffee recipe! - Real Food. Real Fitness. Awesome FAT BURNING coffee recipe! Are you ready to take your morning cup of joe to the next level? 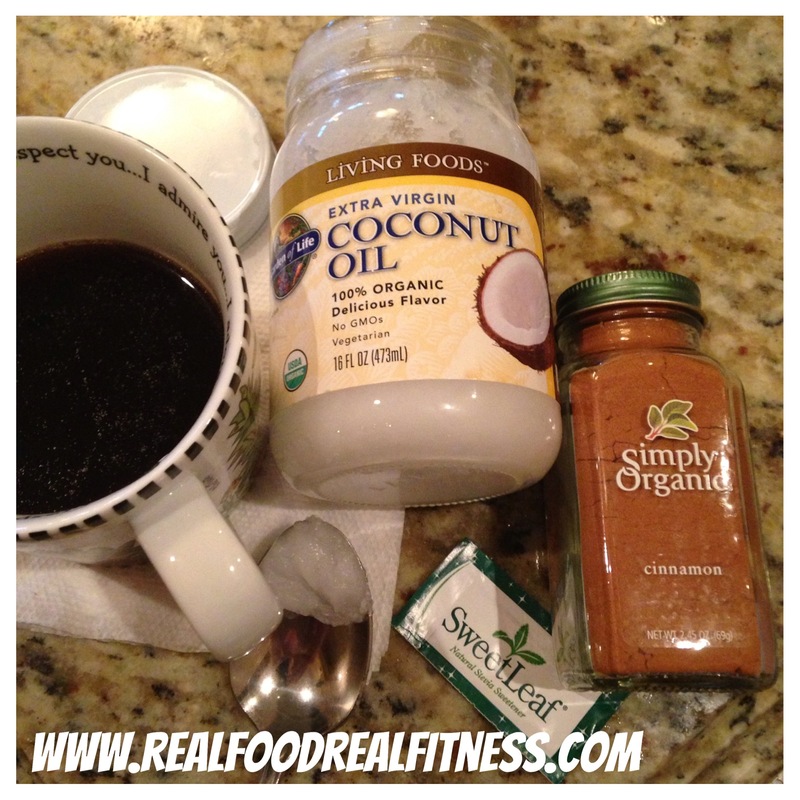 Try my Awesome FAT BURNING COFFEE recipe and bump up your coffee to fat burning status! Its easy, super healthy, and delicious plus a great way to get in some healthy fats! CINNAMON encourages insulin uptake in muscle cells which helps to build muscle rather than store fat. A compound in cinnamon encourages body-fat reduction by enhancing glucose burning inside your fat cells. COCONUT OIL contains medium chain fatty acids that get used up to generate energy which speeds up your metabolism. Medium chain fatty acids are an energy source that helps burn fat and this “thermogenic” effect can last hours after you ingest it. ORGANIC COFFEE is much lower in pesticide residue than regular. Coffee beans are one of the most highly sprayed crops so choosing organic is the healthier way to go. The caffeine in coffee can help increase fat burning and boost the metabolic rate.